The Myth & Magic Pin Party Club box contains a glitter dragon hard enamel pin, and 4 other cute surprises all designed for this box! 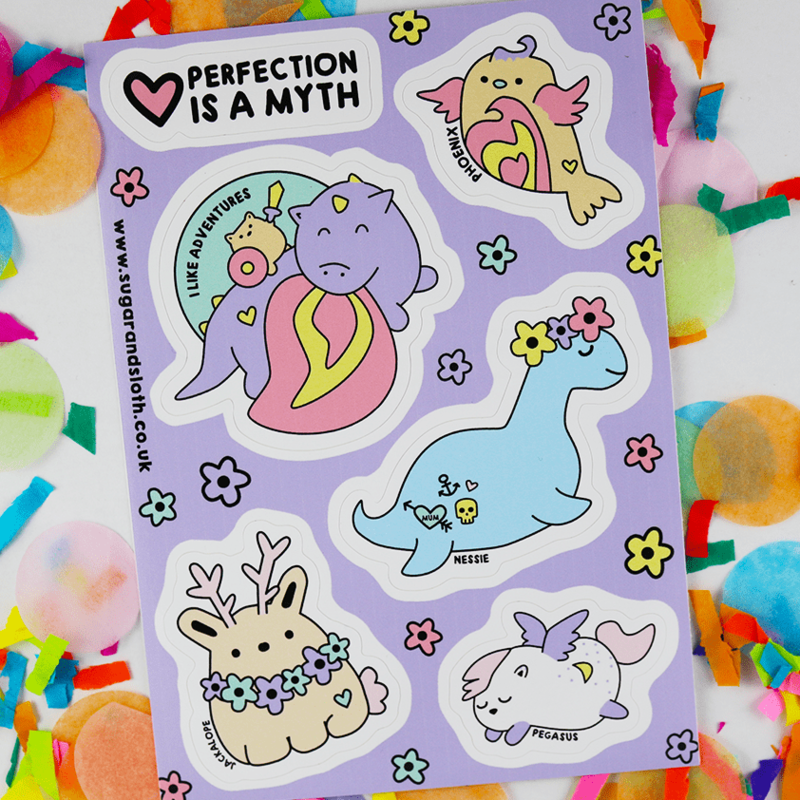 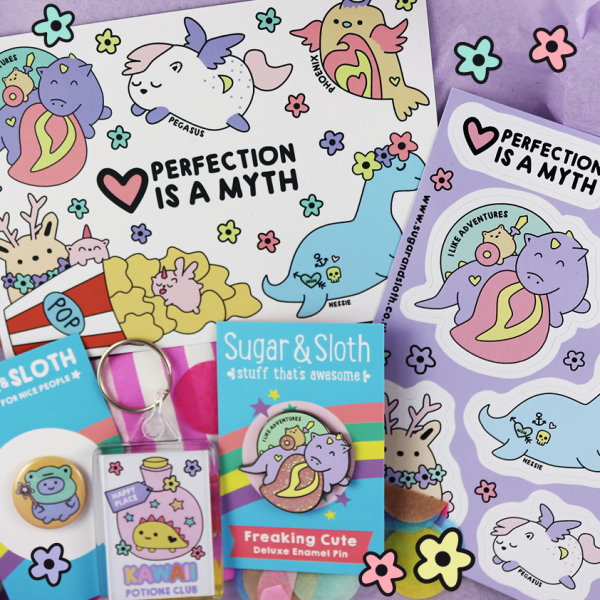 These super cute Myth & Magic themed goodies make a great care package. 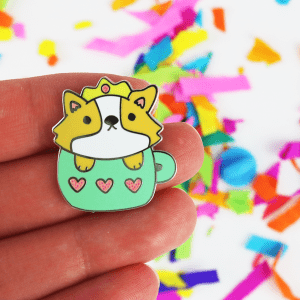 – A very cute hard enamel pin with glitter. – A vinyl sticker sheet, button badge, postcard & keyring. Your goodies arrive all wrapped up in pretty tissue paper and stuffed with rainbow confetti. 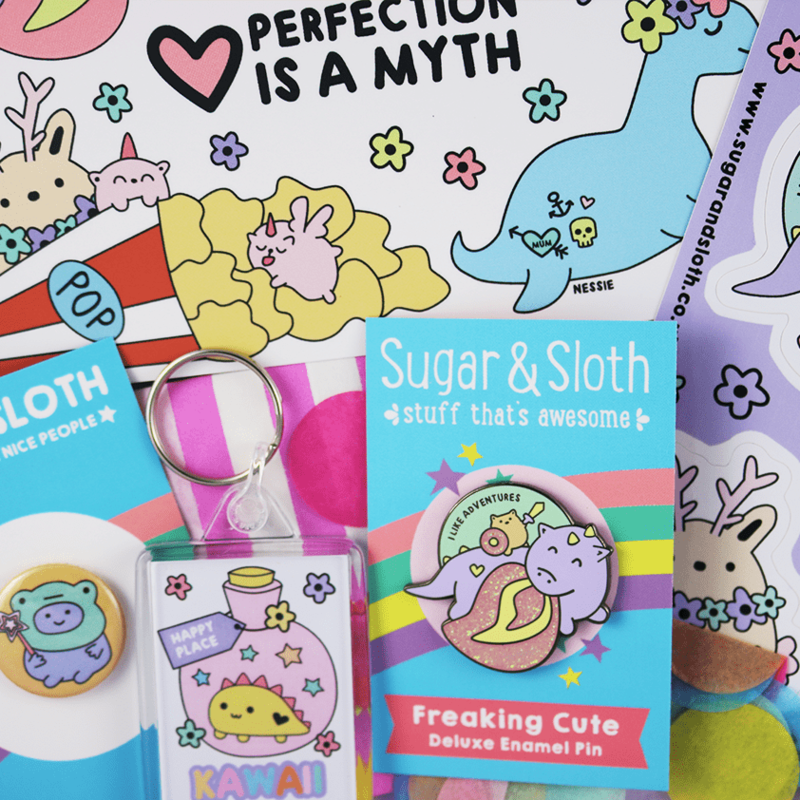 This box was originally created for The Pin Party Club Monthly Subscription Box. 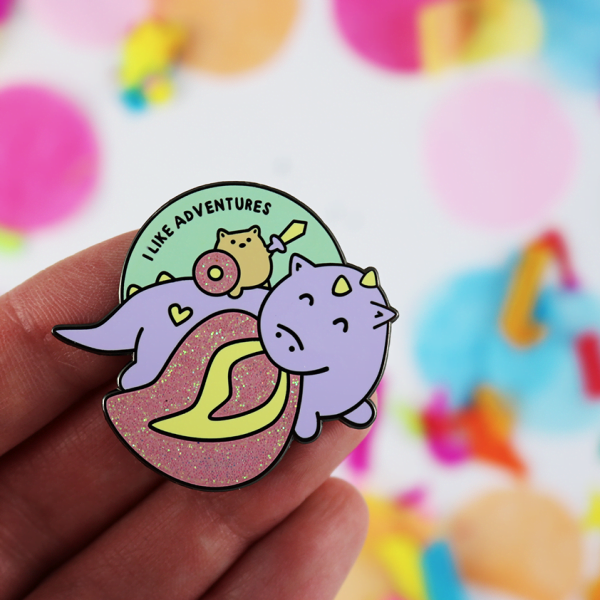 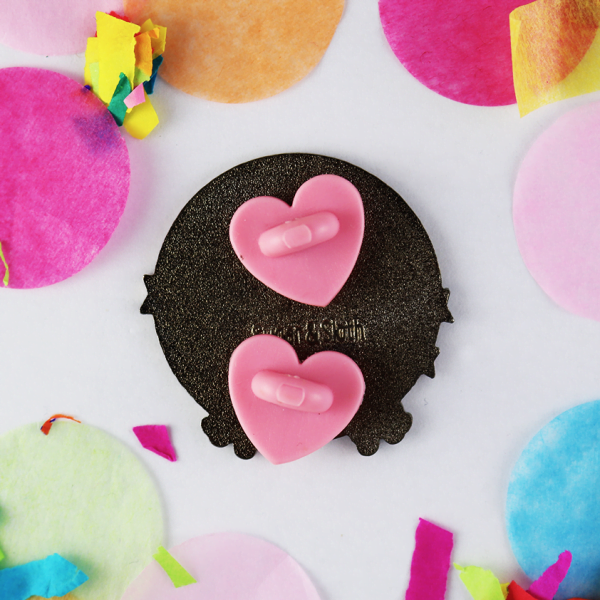 Each month I send out brand new surprise goodies designed around a different party theme.